Liaisons, Clerks, and Representatives: Please distribute this epistle widely. Consider reading it aloud at Meeting for Business and/or including it in your newsletter. Thanks! 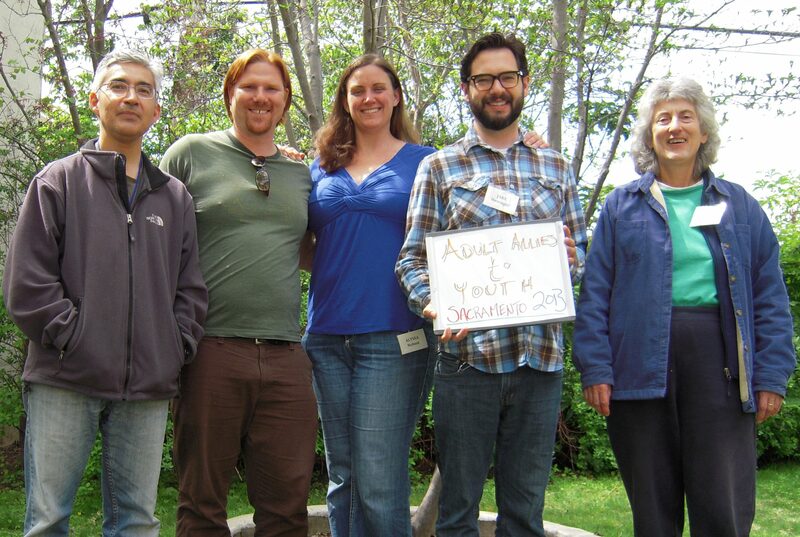 Spring in PYM-land has been a busy time for the Youth Program: working with the Quarterly Meetings’ teen programs and clerks’ committees, conducting Adult Ally/ FAP Workshops in Sacramento and Santa Monica, visiting Monthly Meetings, and collaborating with many committees and officers to prepare the upcoming annual session. 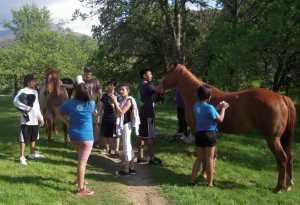 Looking forward, summer is the big season for youth camps and annual session – registration is open and financial support is available, just ask! See the attached or online calendar for details. 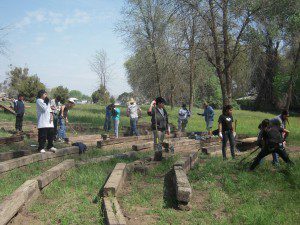 We are pleased to report the success of our first-ever Spring Youth Service Camp, a collaboration of our PYM Youth Program, Quaker Oaks Farm, the PYM Unity with Nature Committee, and the Wukchumni People of the Visalia area. 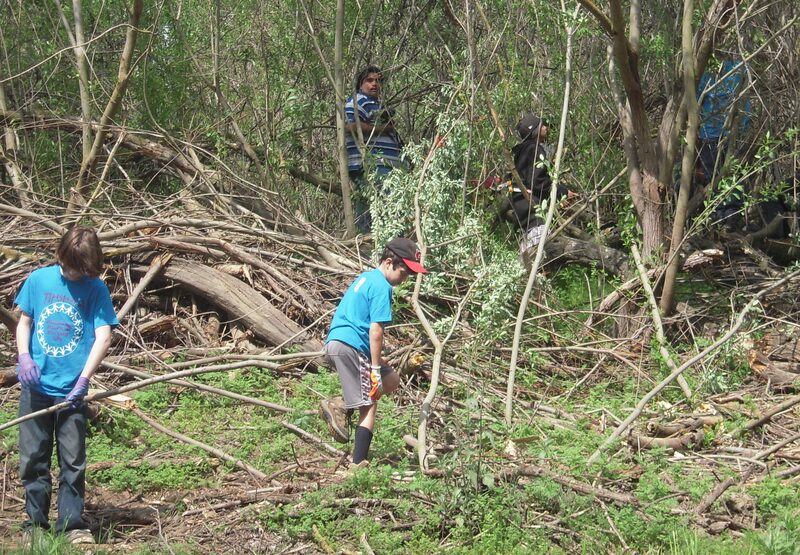 The camp was hosted at Quaker Oaks Farm and the adjacent Visalia Meetinghouse during the week leading up to Easter. Twelve young people participated—4 Friends, 5 Wukchumni, and 3 Oaxacan/Mixtec—along with over a dozen adults from 8 PYM Meetings. 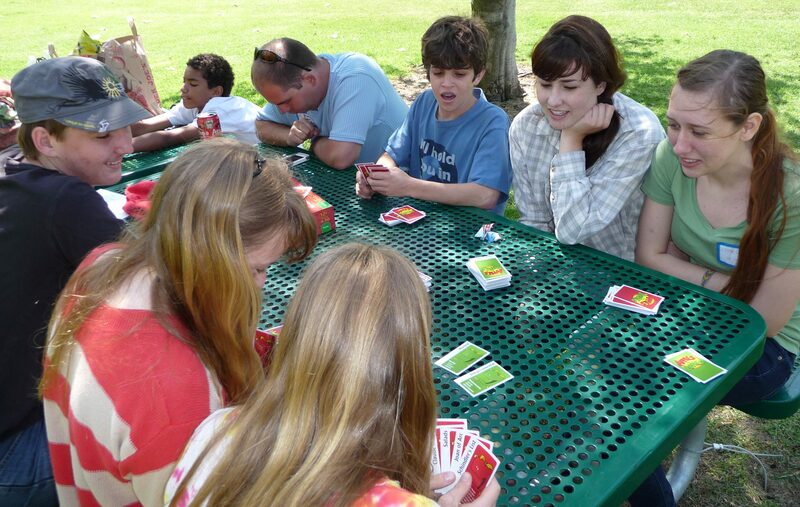 A highlight for all of us was the building of multi-cultural, multi-age relationships among us. 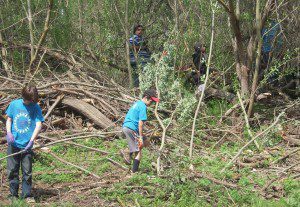 In particular, we received a great gift in being included in some events of the Wukchumni Tribe’s springtime new year celebrations held at the farm: rebuilding the sweat lodge, a sweat, a dance, and a baby-naming ceremony. In addition to forming new friendships and partnerships, we worked on building an outdoor amphitheater for Quaker Oaks Farm and on envisioning the future of the farm as a multicultural community center focused on peace, justice, and sustainability. We learned from area experts about the environmental and social history of the farm in the greater context of the San Joaquin Valley, and heard the painful, bloody story of how the land was originally stolen by European colonizers. 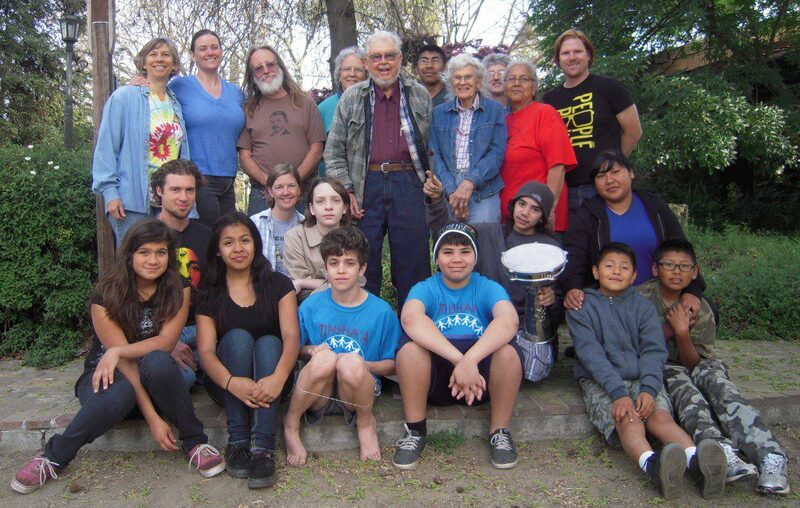 We learned from the current landowners (Bill and Beth Lovett, Visalia Meeting) and the Wukchumni Tribe about their ongoing relationship and land-use agreement, and the planned conversion to community ownership with governance by a representative nonprofit board. Found-object art … and laughter! We also toured the Kaweah Oaks Nature Preserve, took a hike to a refreshing waterfall where we met and petted horses, learned about a neighbor’s alpaca herd, and helped set up for the big Easter Breakfast, which this year was expanded to a 90th birthday party for Bill Lovett and attended by f/Friends far and wide and local. 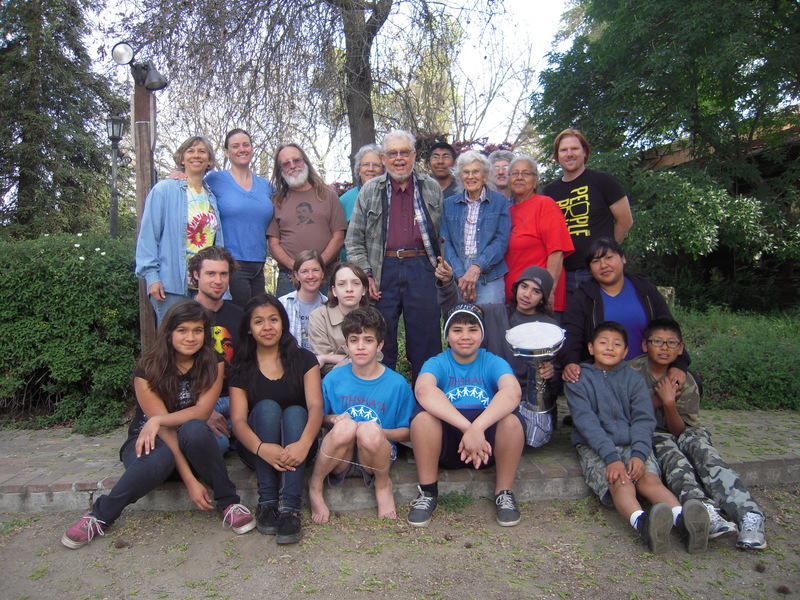 We slept and ate at the Visalia Meetinghouse, where at mealtimes we tried each other’s different cuisines and ways of giving thanks. Many thanks to all you volunteers, donors of food and funds, and youth and adult participants who contributed to creating this amazing experience. An epistle from the adults of the CPQM teen program committee, which was presented at Spring Quarter 2013, describing their ongoing journey to support and grow the CPQM’s teen program and its youth leaders. The YPC Supervisory Committee’s extensive program evaluation report, presented at Representative Committee in March, thanks to substantial input from Friends via focus groups, interviews, and surveys of Meetings. Previous Youth Program epistles, including #7 from December 2012 and earlier that you might have missed. CPQM Spring Quarter Family Night: 12 hands, 1 marker, and a word to write …. ready, set, go! 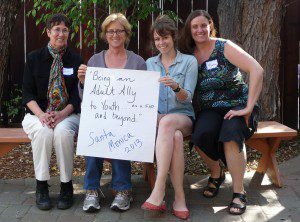 We are looking for young adults and older adults of PYM interested in creating and participating in an intergenerational gathering of service, spirit, and fellowship. Contact pym [dot] youthcoordinator [at] gmail [dot] com. Much gratitude to my welcoming hosts during recent visits to Meetings: Central Coast, Strawberry Creek, Berkeley, San Francisco, Santa Cruz, Live Oak, Monterey Peninsula, Orange Grove, Orange County, and Santa Monica. Youth Program Committee members: Cara Arcuni, Sophie Brinker, Clare Griese, Lanny Jay, Mary Klein, Steve Leeds, Jim Summers, Kate Watkins (Clerk), and Nathan Walker. Please support teens and young adults in your area to attend events by helping them register, figure out payment and/or scholarships, and arrange transportation. June 14-19, 2013 for all young adult Quakers (ages 18-35) in North America: Continuing Rev_l_tion: Be Brought Low, and Back to the Root — A Young Adult Friends Conference on Simplicity, at Pendle Hill in Wallingford, PA. “[The] conference [is] designed to strengthen a networked generation of awakened and effective spiritually grounded change agents. The program will include inspirational speakers, workshops and trainings, worship and worship-sharing, fellowship, discernment of gifts and ministry, service and direct action. We are calling all young adult Friends who feel a movement in our generation to create the world we believe is possible. 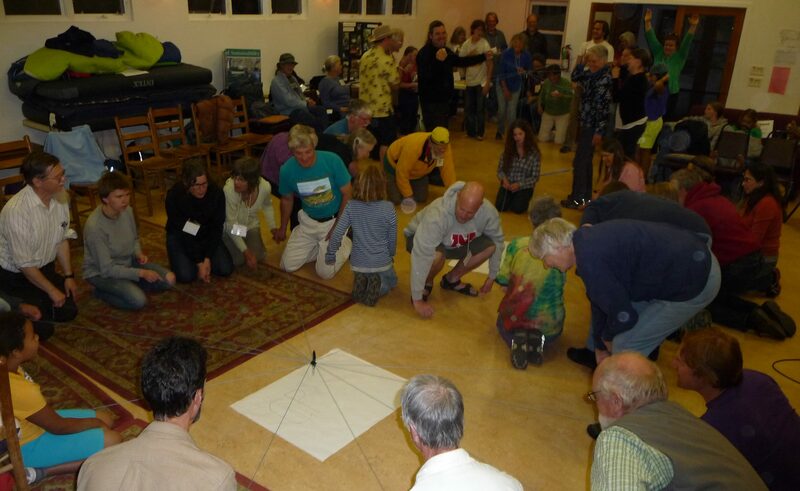 At its core, this conference is about providing the foundational skills and training to inspire revelation –or revolution– as we strive to live into Spirit-led relationship with ourselves, our communities and the earth.” www.pendlehill.org/yald. Camp Woolman (Sierra Friends Center, Nevada City, CA): http://camp.woolman.org/dates-rates. ○ Teen Leadership Camp (ages 15-16), three sessions: 6/30-7/13, 7/14-27, 7/28-8/10. 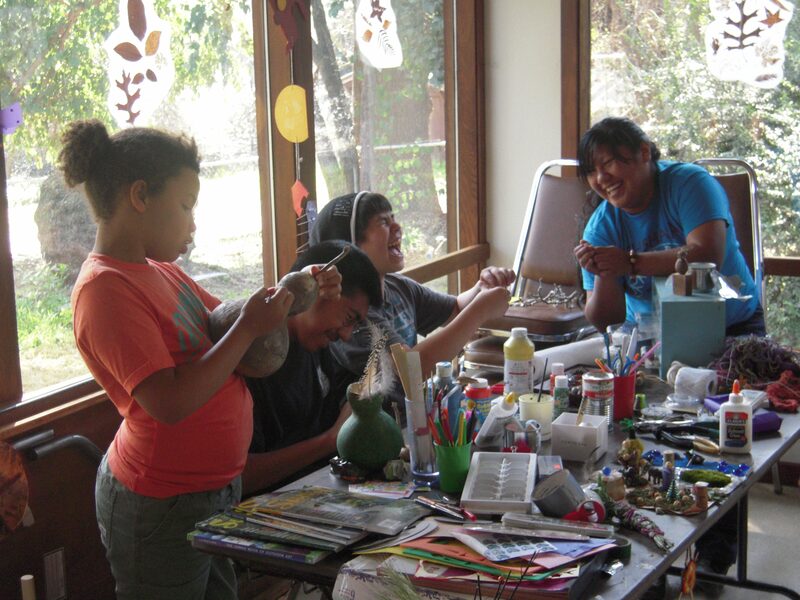 ○ Sierra Friends Camp (ages 9-14), six sessions between June and August. 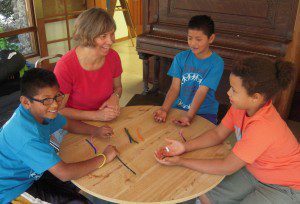 ○ Mini Camp (ages 6-9), June 27-29. ○ Quaker Camp (4th-6th grade) and Service Camp (7th-9th grade) run concurrently, June 29-July 7. ○ Peace Action Camp: outdoor adventure and nonviolent direct action for rising 10th through 12th graders, held in La Jolla, CA, July 21-27. ○ Note: Quaker Center’s annual passes can be applied to camp! July, TBD (tentatively the days leading up to PYM Annual Session): The return of the Shalom/Koinonia Project, an intergenerational service, spirit, and fellowship gathering for young adults and older adults of PYM. Tentatively to be held in San Jose, CA. Contact pym.youthcoordinator [at] gmail [dot] com to get involved.